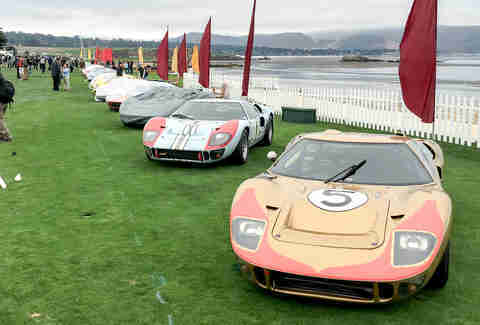 Monterey Car Week is a celebration of the luxury, performance, and historic significance of classic automobiles. 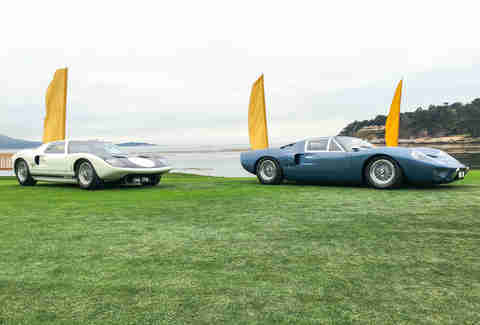 The world's most special exotic cars are seemingly everywhere, lining residential streets and speeding along at Mazda Raceway Laguna Seca. Lost somewhere between the glitzy and glamorous car shows, auctions, and awe-inspiring rumble of the historic races is something much more raw, engaging, and real. 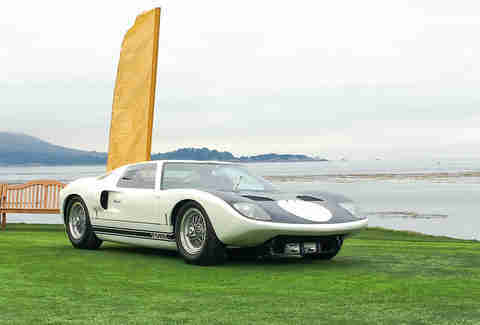 No one knows about it, and it's among the coolest things at Monterey Car Week. Only, it's not a dream. It's the reality of what we're calling Dusk Patrol, an unadvertised -- and far more impressive -- foil to the much-ballyhooed early-morning parade of classics known as Dawn Patrol. It's not on any list. There are no invitations. It didn't even have a name until right now; it's not a sanctioned portion of the weekend. No one knows about it because it's not on the agenda, and there isn't an occasion at Pebble Beach that's truly secret anymore... except for Dusk Patrol. 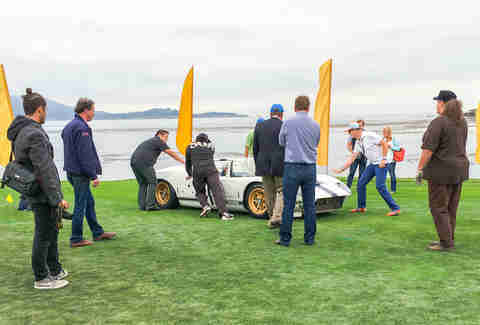 Attending Dusk Patrol, aka "the set-up hours for Pebble Beach," is as easy as showing up to the 18th fairway of the Pebble Beach golf course at around 4pm on the Saturday before Sunday’s Concours d’Elegance. We discovered it when we happened to be ambling about the club's expansive grounds, looking for an entirely different, adjacent event. The weekend in Monterey is rife with activities happening around the peninsula, from seaside Carmel to the track further inland. No matter where you are, you're going to see something interesting during Car Week -- but how interesting depends on when you see it. 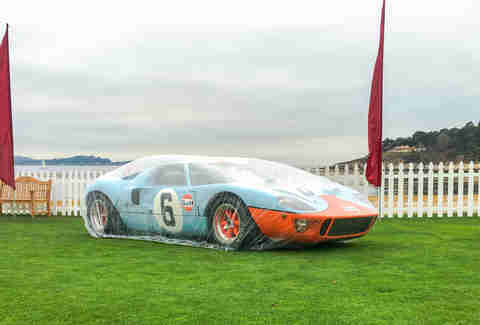 Most of the events in Monterey celebrate cars by putting them on both literal and metaphysical pedestals, rather than letting owners tell their stories and interact with fans. Dusk Patrol is a moment during which you can watch owners, their friends, and their cars' handlers preparing for the show, setting up museum-quality objets d'art that happen to be cars. They move one into place, and then it's on to the next one, dressing these hypercars, race cars, and one-off road cars as if they're tables being set for a banquet. It's arguably the most human element of a weekend saturated with unobtanium and those who obtained it. 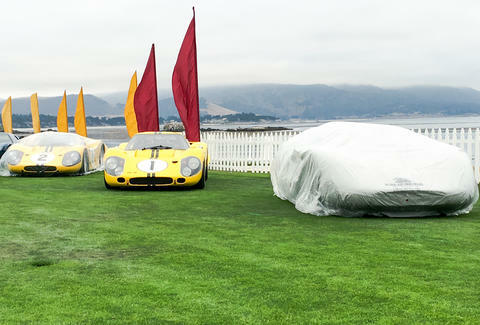 Everything must be set up before Dawn Patrol, in which myriad other cars will fire up their aging engines and parade along the green for the throng of onlookers to notice. There are sponsored hats and a lot of colorful outfits at Dawn Patrol, but they miss out on the realness that happens the night prior. It's the most amazing thing that happens all weekend. We're calling it Dusk Patrol; you can call it what you want, but please don't spread the word of this amazing, quiet moment of automotive solitude. 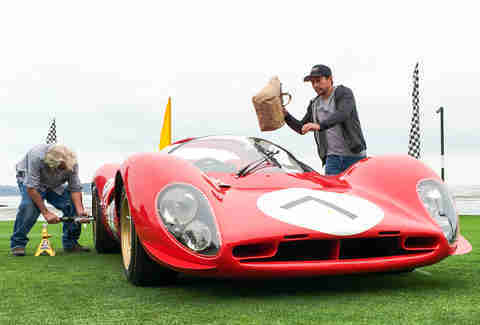 Jeff Jablansky is a contributor to Thrillist Cars, and likes being able to sleep in past dawn. Follow him to a good fit @unclewithcars.